The Secret Garden, a musical about grief, loss and renewal will open on the Concord Players' stage beginning April 26, 2019. 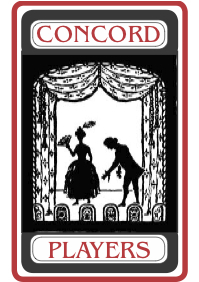 Based on the 1909 novel by Frances Hodgson Burnett, the show which has been described as "enchanting" and "inspirational", opened on Broadway at the St. James Theater in 1991. It won three Tony Awards before closing in 1993. The Secret Garden tells the story of 11-year old Mary Lennox, an English girl living in India who loses her parents to a cholera outbreak. Sent to live with distant relatives in Yorkshire, England, Mary finds her new situation inhospitable. Her uncle Archibald is an angry, embittered man, having lost his beloved wife Lily. Her cousin Colin's birth was the cause of Lily's death, and he has been an invalid since then. Now confined to a wheelchair, he is almost never away from his dark, lonely room. The house is Gothic, dark, neglected and disturbing. As one character laments in song, "there's something wrong in that house." Privileged and spoiled by her socialite parents, Mary finds her new surroundings dreadfully bereft of welcome or comfort. Seeking solace, she finds it in the estate's garden, overgrown and also sadly neglected. Mary finds it a magical place, and soon it begins to beckon to her and her cousin with haunting melodies. The Players' production is directed and choreographed by Julia Deter (Concord Players' choreographer for Kiss Me, Kate), with music direction by Ben Oehlkers. "The Secret Garden is a beautiful and poignant coming of age story, appealing to young and old alike," says Deter. "It is rife with themes of rejuvenation, companionship, and selflessness as the root of happiness and health. The story is told lyrically through a hauntingly beautiful score, peppered with a childlike innocence and charm. And of course," she adds, "as with any good coming of age story, there is a hint of magic to be found." Madi Shaer of Needham, a newcomer to the Players, leads the production with a luminous presence and lyrical soprano. She brings a breadth of experience to the role of Mary Lennox that belies her tender age. Professionally trained as a vocalist, and with a formidable dance portfolio, she has held lead roles in some professional productions that include Mary Poppins, A Christmas Carol, Gypsy, Billy Elliot, and Carousel among others. She's even played Young Cosette in Les Miserables, and held the title role in Annie. The parts require British accents of the actors, and some of them need dialect training. Not Madi, she's already got "English Accent" on her resume, along with "ukelele," "trapeze" and "gymnastics." Her experience and versatility bring a depth to the role that few others so young could accomplish. 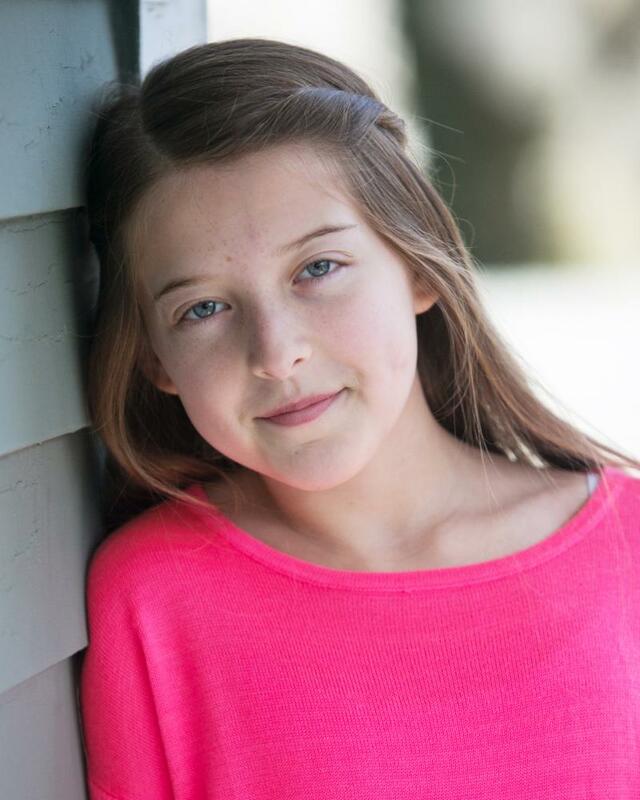 Madi is "excited", in her word, to be on the Concord Players boards for this production and says she is very grateful to the show's creative team for the opportunity. Other cast members are also singing the praises of this production. Andrew Swansburg, a dancer, singer, actor, and Concord Players member who has played a wide range of characters for the Players, is cast in the role of Lieutenant Shaw in this production. "...What a bonus," he says, "when you are doing a show with gorgeous music - and you get to hear these incredible voices sing every rehearsal." Some of the production's most popular songs include: "I Heard Someone Crying", "Come to My Garden", and "How Could I Ever Know?" 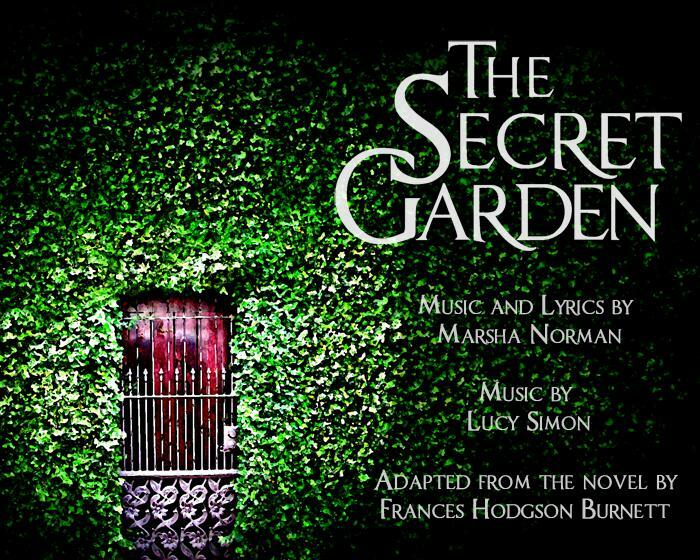 The Players' production of The Secret Garden runs from April 26, 2019 to May 11, 2019. For more information and tickets head to the Concord Players website. Calling all Players and Patriots! The Concord Players will be participating in Concord's Annual Patriots Day parade on Monday, April 15th (weather permitting). Volunteers are needed to march in the parade, which begins at 9:00am at Stow Street, proceeds through Concord Center to the Old North Bridge and back through town, followed by a luncheon at the Hunt Recreational Center. Please send an email to marketing@concordplayers.org (Andrea Roessler) if you can join us. Further information regarding costuming and muster time will follow to those participating. The first production of our 100th season! Music by Jule Styne, lyrics by Bob Merill, book by Isobel Lennart from an original story by Miss Lennart. Directed by Brian Kelly (Spamalot, The Producers, Noises Off), music direction by Brendan Kenney, choreography by Katie Alexander, and produced by Susan Tucker. 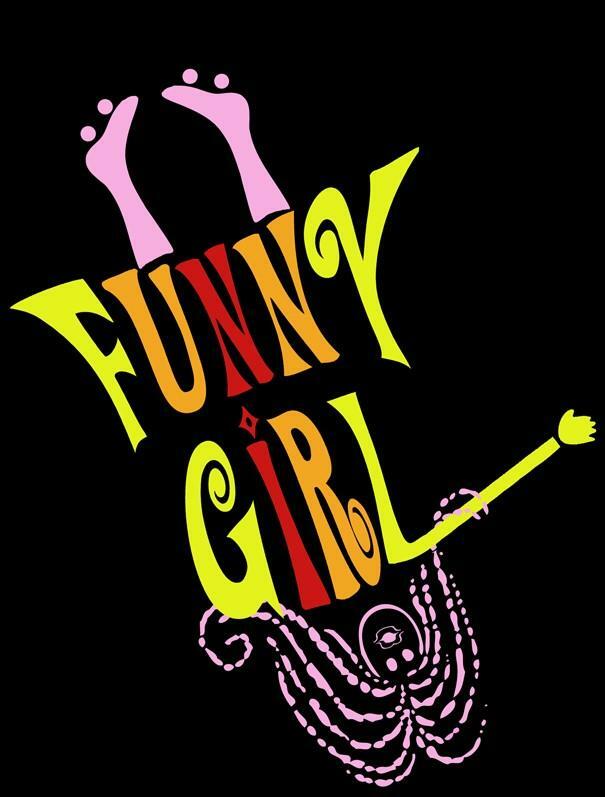 Funny Girl is the bittersweet, classic musical drama about Vaudeville's sweetheart, Fanny Brice. The musical tells the story of the comedienne who started out as a bit player on the Vaudeville stage, but worked her way up to stardom as one of the most acclaimed members of Ziegfeld Follies. Funny Girl follows Fanny's rise to fame and highlights her comedic and musical prowess. It also explores her amazing, yet strained relationship with her husband, Nick Arnstein, a professional gambler. Funny Girl is witty, glamorous, and a general spectacle that portrays some of the most vibrant characters in Broadway history and their strong, but strained relationships. It features some of Broadway's most treasured music, such as "People" and "Don't Rain on My Parade". Auditions for Funny Girl will be held on Wednesday, May 8th and Thursday, May 9th, both at 7:00pm at 51 Walden. Callbacks are scheduled for Sunday, May 12th, beginning at 6:00pm. Auditions will be held by appointment only; the SignUpGenius form is available via our website. Performance dates are November 8th, 9th, 10th (matinee), 15th, 16th, 17th (matinee), 22nd, and 23rd, 2019. Check our website for further information. The Annual Meeting for the Concord Players was held on March 24. President Jay Newlon welcomed all attendees and reviewed some of the highlights of the past year: Shakespeare on the Lawn, Malone Dies, the Greater Boston Theatre Expo, a staged reading of A Christmas Carol, participation in the 51 Access event Hurly Burly Extravaganza, and the work of the Players' Traveling Troupe. Vice President Andrea Roessler reviewed our mainstage productions from the past year (Noises Off, The Hunchback of Notre Dame, the Princess Party, Arcadia and The Country House). Paul Murphy outlined the exciting activities planned for upcoming centennial year, and Craig Howard presented next year's slate of plays: Funny Girl, Barefoot in the Park, and Steel Magnolias. Entertainment was provided by The Traveling Troupe and we were treated to a sneak peek of our upcoming production of The Secret Garden. Elections were also held for next year's Board of Directors. Welcome to our new/returning Board Members: Connie Benn (Treasurer), Nick Miller (member-at-large), Tracy Wall (Centennial), and Carol Antos (member-at-large). They will be joining continuing members Jay Newlon (President), Brian Kelly (Vice-President), Andrea Roessler (Vice-President), Amanda Casale (Secretary), Paula McNabb (EMACT representative), Charlie Atherton (Finance Committee), Craig Howard (PDSC), Susan Tucker (member-at-large), and Corinne Kinsman (Membership). Thanks to all our Board Members for all the hard work they do. We have many new members to add this month from the cast and production team of The Secret Garden. Also, two current members from the show have renewed their membership for next season (thanks Cal and Melissa!). Welcome, everyone: Perry Albert, Brian Bakofen, Michael Chateauneuf, Ryanne Hammerl, Kelly Hodge, Agatha and Ben Oehlkers, Madi Shaer and her family, and David Siktberg. Dirty Rotten Scoundrels: A few Concord Players performers will be traveling to the French Riviera to appear in the Arlington Friends of the Drama production of Dirty Rotten Scoundrels this coming May. The cast includes Heather Pruiksma in the role of Christine Colgate, Craig Howard as Andre Thibault, and the ensemble will include Kelly Duffy, Jocelyn Hesse, and Joel Hersh. Tech staff will also include Linda Burtt and Karen Burum. City of Angels: The Flyleaf Theater Company has announced the cast of its final production, City of Angels, to hit the St. Johns Black Box in Shrewsbury at the end of June! Concord Players members include Brendan Kenney as Music Director, Brian Kelly as propsmaster, and Brad Amidon, Mel Bisso, Amanda Casale, Joel Hersh, Joshua Wright, and Lydian Yard in the cast. April 5 at 7:30 p.m.: Voilinist Sarah Whitney presents Beyond the Notes with guest artists PUBLIQuartet, a creative and mind-bending string quartet from NYC. This is a unique and interactive concert experience which includes questions chosen at random from the audience. More information and ticketing is available here. April 6 at 7:00 p.m.: Opera Gala to raise funds for Opera51's production of Carmen on June 7, 8, and 9. The Gala will be held in the parish hall of Trinitarian Congregational Church at 54 Walden St., Concord, across the street from 51 Walden. Light fare, drinks, a silent auction, songs performed by the cast of Carmen, and a talk given by a guest speaker. Tickets $50 a person. Call (978) 369-7911 to reserve or purchase on-line. April 12 and 13 at 8:00 p.m.: The Concord Band Spring Pops Concerts featuring jazz artists Amanda Carr and John Stevens. Click here for more information. Friday concert sponsored by Rotary, info@rotaryclubofconcord.org. For Saturday concert, e-mail the Band at reservations@concordband.org or buy on-line.